I want your opinion. 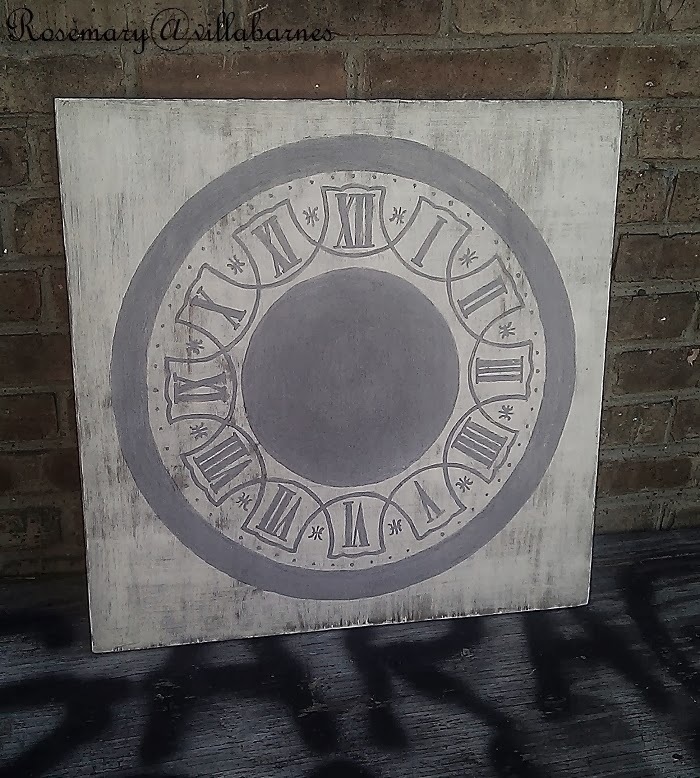 Which version of my painted clock face do you prefer? If you're a FB friend, you already know which one is the favorite there. Lot's of strong opinions. Do you prefer the heavily distressed and aged version above, that I shared with you in my last post? Or, do you lean toward the version that most resembles the Farragoz clock? I've had inquiries about a simple monotone version. So, I did this one. So, if you had to pick, which would it be? 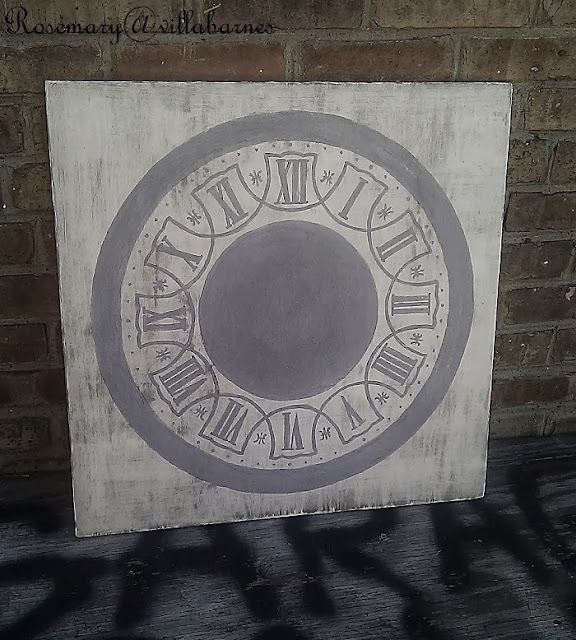 I'm also working on a completely different clock face. Not only is it different, it's much larger. I'll share soon. I like the first one. The second clock face is too busy for my taste. You know my pic. The Farragoz one! Did you get my last email? Just making sure. HOw on earth can one pick? They are both so fabulous! I kind of feel like it's comparing shabby chic and traditional elegance...both are beautiful but to say one is more beautiful than the other...I couldn't choose. I love the second one, Rosemary. 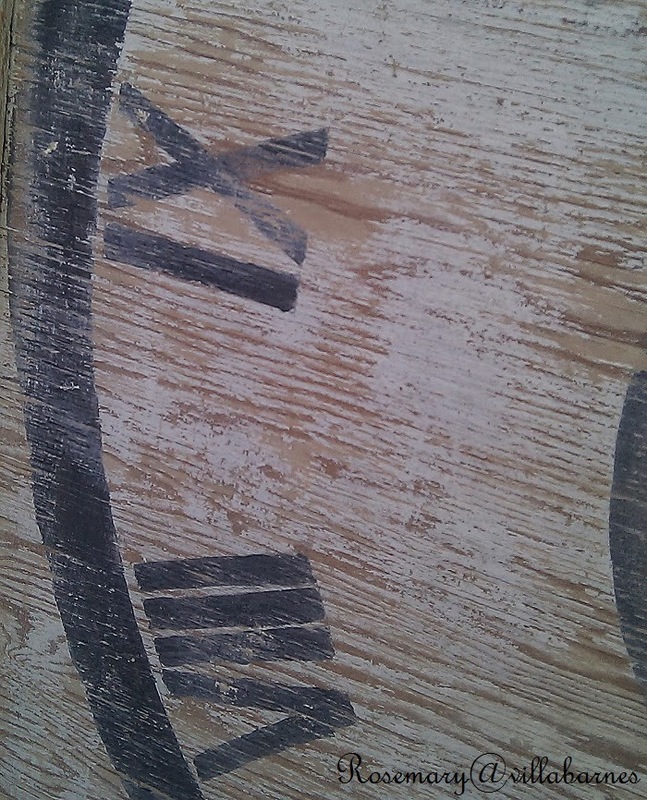 It looks like you are having some creative fun with these clock faces. So much fun...love them both but number 2 appeals to me the most. You make it so hard for us to pick a favorite, Rosemary! I love the Farrgoz one the best myself! Beautiful! It's a vote for the first one for me. I like them both but #2 best! I am going to add à new twist to your creating, loving them all but, I would love NO. 1 first picture but, in the charcoal grey tones like the last picture. 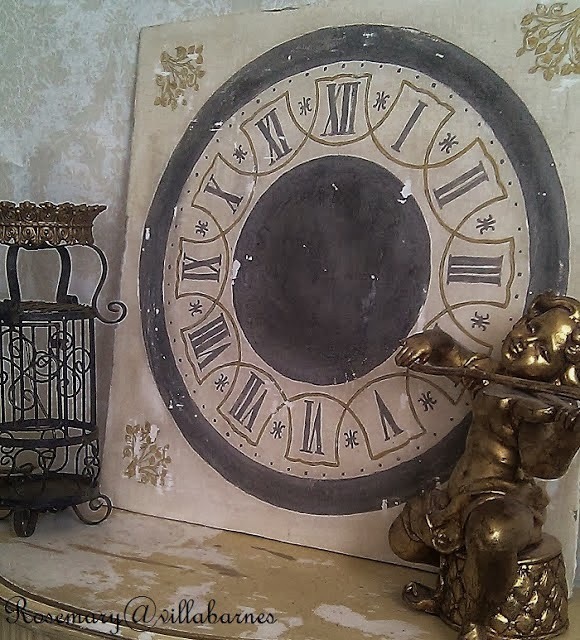 Really know one would go wrong having any of them in their home, love them, in fact I am so late with this style, never had the collections of clocks or clock faces until just recently when I inherited my Grandparents old broken clock and I took the face off and have now displayed it with a couple of others loving the vibe it adds to the room knowing its history. So yes to your clock faces and loving them. I don't have FB anymore so I don't know what popular opinion says but, for me, absolutely the first one!!! Hands down! The first one. Please tell us which you prefer as i don't do FB! I love love love the first one. My favorite. They are all great but number one is my pick. I absolutely love the first one with the dark background. I can't wait to get started on the course. I have to sell my house first so that I can make a mess. Living in a clean house is not my thing. Please keep experimenting and posting. You do such beautiful work, and I am hoping my projects will look almost as good. 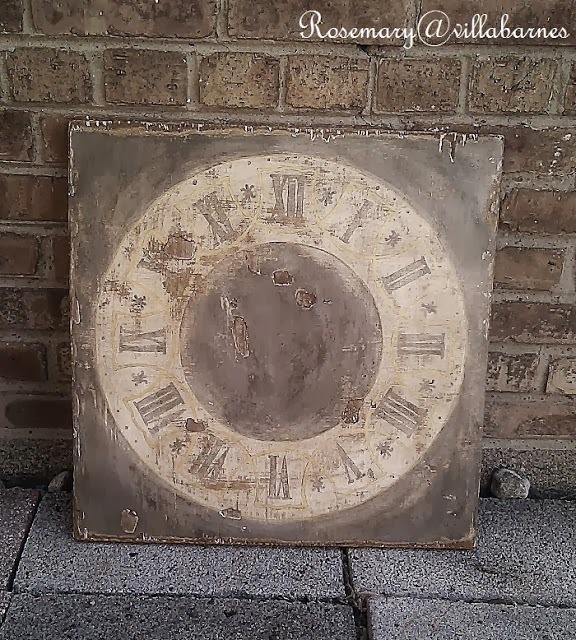 Oh the first one really speaks to me with it's aged patina - it has stories oozing from it's core!! Sounds like a worthwhile course - we all love playing with patina. Visiting from Grey Dey Thursdey. I prefer the first one. I think it looks more authentic than the other two but they all are beautiful. distressed and aged! i don't even need more than a second to make a judgment! thanks for sharing, and hope you'll pop over when you have a second! #1 for me as it is a tad more faded. It's like comparing an apple to a orange to a pear. Each beautiful in her own right. My personal vote is the first one - it looks as if it has been around for centuries. I am loving the Farragoz course. The distressed one look more like your style. I happen to like it the best. They're both beautiful but the first one is my favorite!! I like the distressed one! And I want to see more of the one you are working on now - that looks so cool! I love them all Rosemary, each has a different feel to it. all really amazing! How can I pick a favorite? They are all fabulous! More? Do you ever sleep? Loving each and every one of them, but 1 and 2 are my favourites! Keep it up and you'll soon be known as the Queen of Clocks! I think we should add some more clock designs to the course, specially for you. When is your birthday? LOL! I don't know why, but the first is my favorite. Beautiful - all of them. If I had to pick I would pick the 3rd one. They all look really special!